In my sugar eating days, there was nothing I loved more than a slice of coconut custard pie from Paul French Bakery in Miami. Oh man, they make the best. 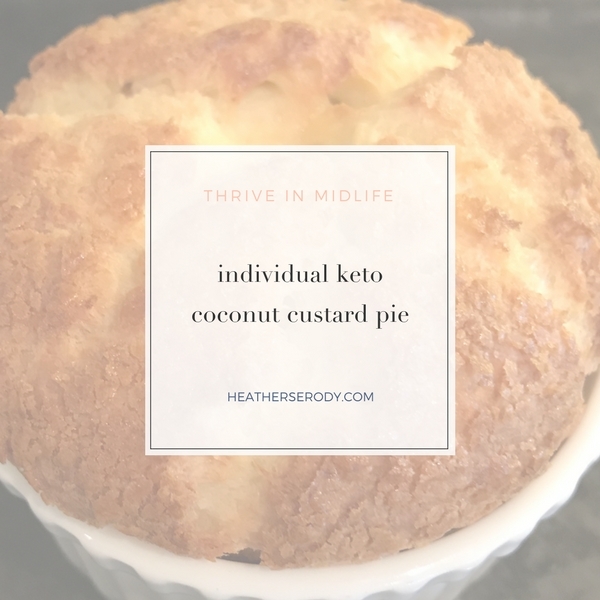 I figured that because coconut custard pie is one of those desserts made mainly with dairy and egg that it couldn't be that hard to make it keto friendly. My goal was to create a simple single serving custard pie recipe that's just slightly creamy in the middle. It had to nicely brown on the top and it also had to really taste like coconut without being too sweet. It comes together in about 2 minutes flat. I usually make this once a week to enjoy during my guilty pleasure TV show. The hardest part is waiting patiently for it to cook because the whole house smells like toasted coconut. You'll want to pick up some Sweet Leaf toffee flavored natural liquid stevia to make it just the way I do, but feel free to experiment with your choice of keto approved sweeteners. And it's also nice to bake up your coconut custard pie in a porcelain baking ramekin which makes it feel like an authentic dessert right from a French bakery. If you don't have a ramekin, just use an oven-proof mug or bowl. In a small bowl, whisk together the egg & coconut oil, then add remaining ingredients and whisk together well. Pour batter into a single serve 5.5 oz.baking ramekin. 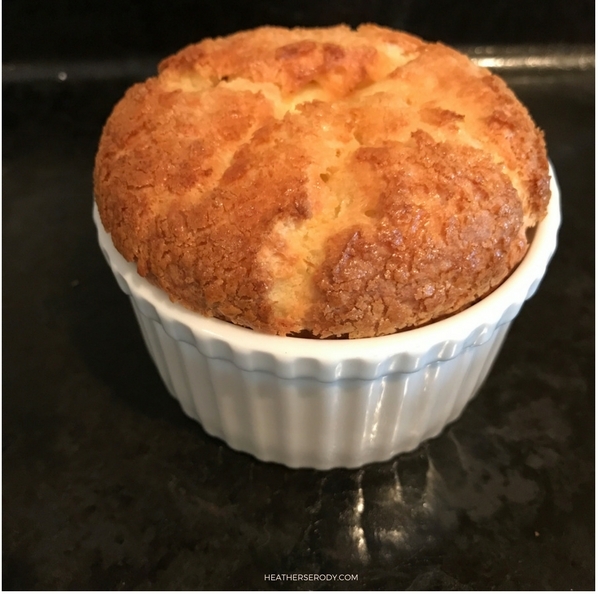 Place ramekin on a sheet pan (to catch any spillover) and bake in the oven for 40 minutes or until the top has a puffed and golden crust but the custard is still soft in the middle. If you like your custard a little less well done, only cook it for 30-35 minutes. Custard will deflate a little as it cools. Serve warm.